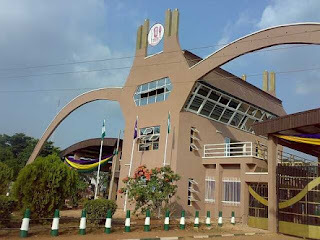 Greetings to our amiable UNIBEN students; it is no news that exams has ended in some faculties. However, exams are still ongoing in other faculties. For those who are done with their exams, the SUG wishes you safe journey back home. This is to also remind us that the office of the Dir. Of welfare has made provisions for Buses for those traveling to LAGOS, ASABA AND WARRI at a subsidized amount. For more enquiries call 08136960684. For those who are still writing their exams and the 100 level students starting their GST this week we wish you all RESOUNDING SUCCESS as you sit for your A’s. As regard UNIBEN admission screening exercise, we wish to inform the General Public that the management enjoins every prospective UNIBEN student to ALWAYS CHECK the UNIBEN WEBSITE for necessary UPDATE, as any necessary change will be related to the public via the platform. For more info visit www.uniben.waeup.org. Furthermore, it is no news that the Dir. Of welfare, the Deputy Speaker STUDENTS’ UNION GOVERNMENT and others were involved in an auto – crash on Friday. The Dir. Of welfare in his wisdom has begged that detailed information as regard the accident be kept discrete so as not to raise tension among UNIBEN students especially during this EXAMINATION PERIOD. The words of the Dir. of welfare “How are UNIBEN students, hope they are all fine? Tell them that I’m getting better and I so appreciate their prayers and support. Please remind them that their WELFARE STILL REMAINS MY AFFAIRS AND THEIR MATTER MY MATTER”. And from the Deputy Speaker, “REPRESENTING YOUR LEGISLATIVE INTEREST COLLECTIVELY STILL REMAINS MY UTMOST PRIORITY”. The S.U.G loves you and wishes you all good things of life as we finish our remaining exams in GOOD HEALTH AND PROSPERITY.